Home anime games hunter x family x random hunter x hunter hunter x hunter game hunter x hunter manga Hunter x Hunter news hunter x hunter update hxh HxH NEWS: Hunter x Hunter Smartphone Game Announced! 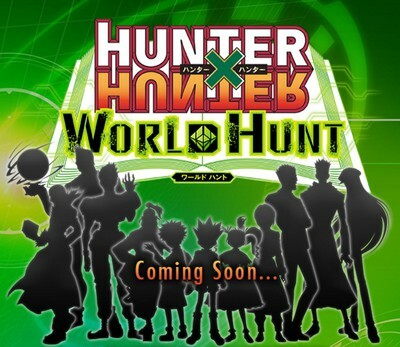 HxH NEWS: Hunter x Hunter Smartphone Game Announced! Shueisha's Weekly Shonen Jump announced on Saturday that Yoshihiro Togashi's manga / anime series Hunter x Hunter will have a smartphone game from Bandai Namco Entertainment. The upcoming mobile game, Hunter x Hunter: World Hunt will be free-to-play with some in-game item purchase. A teaser website was recently launched by Bandai Namco for the said game. The game features on-the-spot matches between guilds of up to 13 characters that can all fight at the same time. You can create an avatar and use a two-choice quiz plus experience the Water Divination to determine your Nen type! The manga went on another indefinite hiatus last July after it was just resumed in April after a two year hiatus. Rumors have circulated that Togashi's condition has gotten worse and that it would need new writers if they desperately want to continue the famous manga series. Two anime series were inspired by the manga. It also inspired two anime films and a number of OVA titles.